Two days ago Israel’s foreign minister called for beheading Arab citizens of Israel who are “against us.” Haaretz did the story yesterday. So did Newsweek. Israeli foreign minister Avigdor Lieberman has said that Arab citizens who are not loyal to the state of Israel should have their heads “chopped off with an axe”. The minister, leader of the Yisrael Beiteinu party and an outspoken critic of Israel’s Arab population, made the controversial remarks on Sunday in a speech to an election rally held in the western Israeli city of Herzliya ahead of the March 17 vote. “Those who are with us deserve everything, but those who are against us deserve to have their heads chopped off with an axe,” the ultra-nationalist politician said. 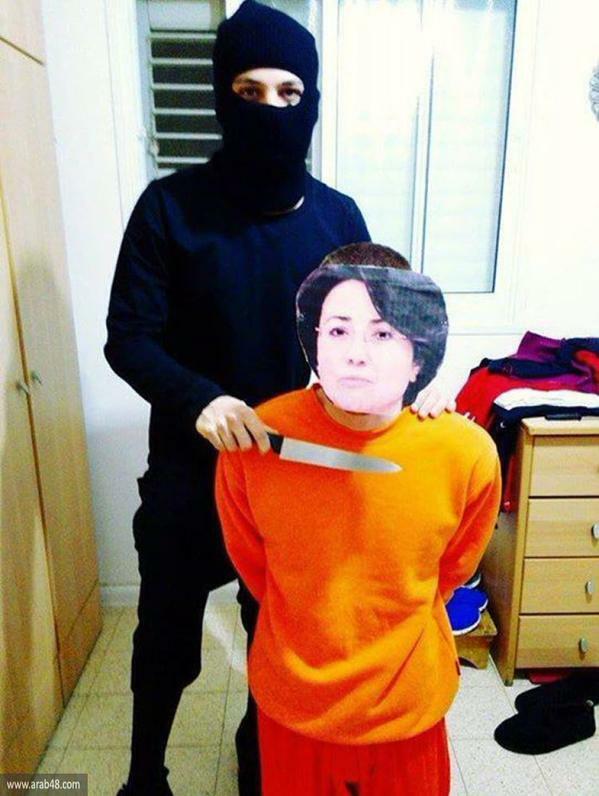 An Israeli call to behead Haneen Zoabi Lara Friedman of Peace Now has been pushing the story, including Lieberman’s call for “transfer,” or ethnic cleansing of Palestinians. “Not the Onion,” she says. But this story is no joke at all. What would happen if a Palestinian politician called for beheading some Jews? How loudly would our media decry such statements? This morning the New York Times had still not covered the story. National Public Radio has given Lieberman a platform in the past. NPR host Robert Siegel also spent an hour interviewing Lieberman at the Brookings institution. Shouldn’t NPR be covering Lieberman’s latest views? Radio silence. Next Post Christian Zealots, What in Their Wicked God’s Name are They Doing to Young Children!